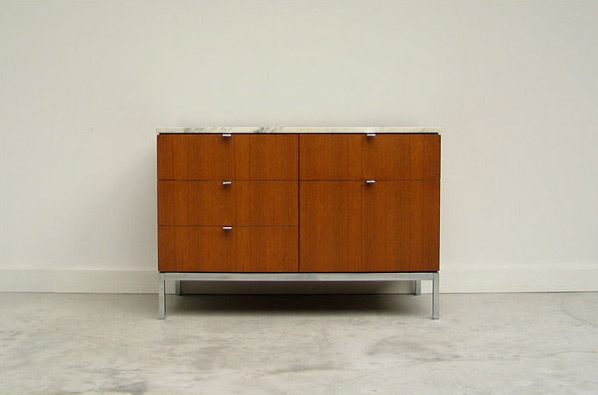 Florence Knoll two position case / credenza. 5 Box drawers with chrome polished pulls, veneered wood body in natural oak, marble top with a lock (key not included) and base in welded square chrome steel tube. Dressoir Florence Knoll a 5 tiroirs avec des poignes en chrome, le corps en bois naturel, dessus en marbre avec serrure (clef non inclus) et une base en acier chrome.